... we were ushered in with friendly smiles and led to our table facing the bay. 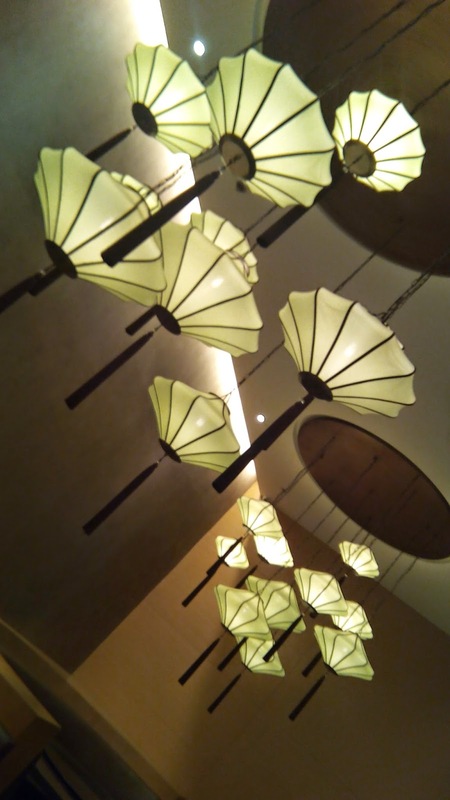 Then I saw these cute lamps that looks like floating flowers. We were a bit distracted by them and forgot our hunger temporarily. 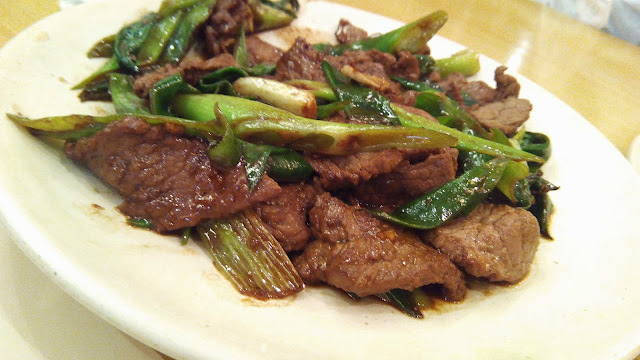 Beef with Scallion. Daughter was craving for beef so I ordered this for her. Portion is good for sharing. The simplicity of this dish doesn't mean its not delicious. The play of flavors in this dish will just make you crave for more. Jellyfish. I saw this on the menu and I know that I have to order this. Hubby and I shared this, I think daughter had a bite or two. However, I prefer the "other" jellyfish, the one in strips. 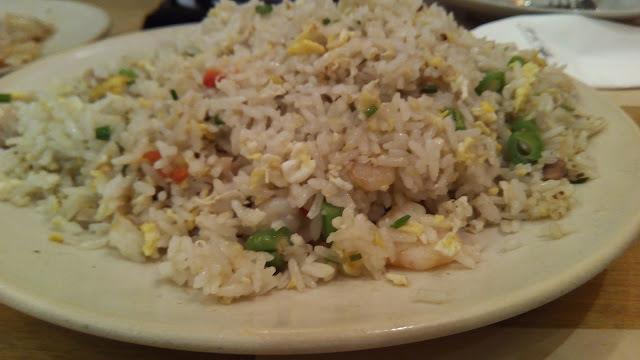 Yangchow Fried Rice. What's eating in a Chinese Restaurant without yangchow? Serving is good for 3-4 pax but this was wiped out by hubby and daughter. Braised Beef Noodle Soup. I ordered a bowl since I am still not eating rice but the staff mentioned that he can split it into two. Thumbs up for the suggestion. 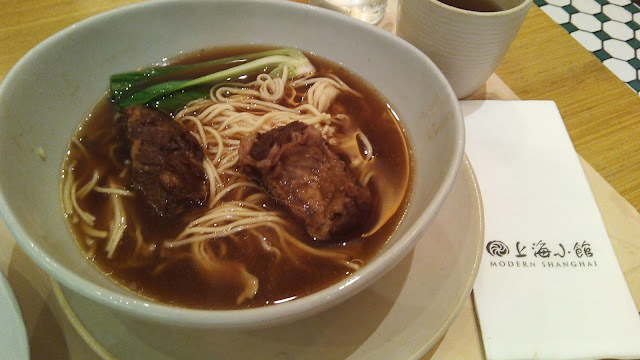 I always love beef noodle soup and this one is now included in my favorites. Its hard to find restaurants that serves good quality and tender beef. The broth also tasted divine. Perfect for a chilly night. Modern Shanghai was our last resto-discovery for 2014. It was already the 29th of December when we visited SM Mall of Asia and I'm glad that we had a pleasurable dining experience here. 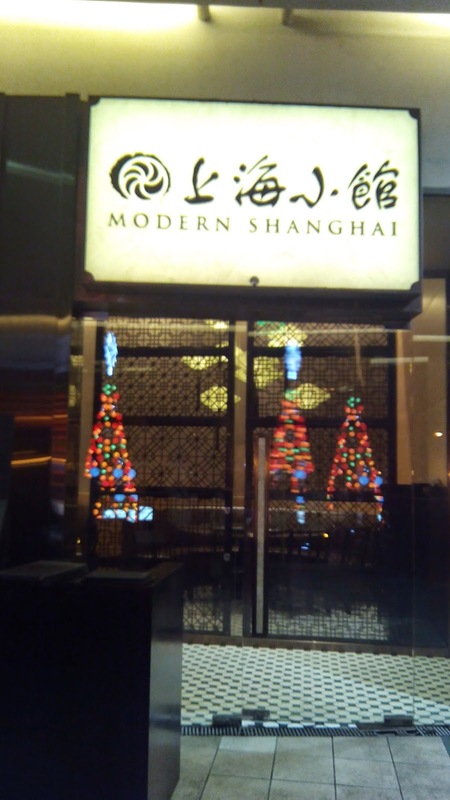 The food was delicious and warmed our tummies, and the staff was friendly and helpful. Looking forward to another visit soon.